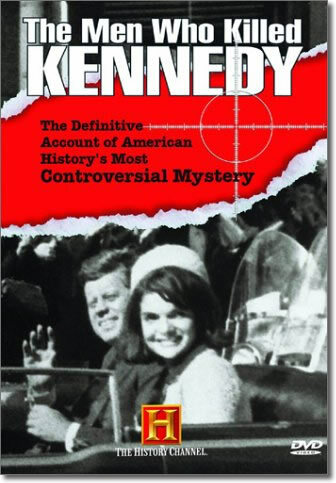 *The Witnesses - The people who were there - but who the government chose to ignore - tell their versions of what happened at Dealey Plaza. The Truth Shall Set You Free - See conclusive proof that the official autopsy photos were faked, and hear from an Army Colonel who says he was trained to eliminate witnesses to the assassination. Abraham Zapruder's home-camera footage of the assassination of John F. Kennedy is treated to digital re-mastering. We also get to see the images hidden "between the sprocket holes," making for a wider view of this much-analyzed event. Even as it preaches to those who will relish its witch-hunting zeal, The Trials of Henry Kissinger makes a potent assertion that the legendary diplomat and former Secretary of State is guilty of crimes against humanity. Produced for the BBC, seductively narrated by actor Brian Cox, and based on the scathing book by Christopher Hitchens (a Kissinger-bashing journalist featured heavily here in talking-head interviews), this film is clearly biased against its target, but there's ample documentation to support its claims that Kissinger prolonged the Vietnam war and orchestrated the illegal and indiscriminate bombing of Cambodia; supervised the 1973 coup against democratically elected Chilean president Allende; and played a role in U.S.-backed atrocities in East Timor.